Tegal Wangi Beach is blessed with a romantic sunset accompanied by natural scenery, green vegetation, steep cliffs, turquoise seawater, and pristine white sand beach. This is the perfect place to spend your afternoon. This beach is located on the west side of Bukit Peninsula and made it a favorite location to hunt for sunset in Bali. This place is included in the administrative area of Jimbaran Village, in the district of South Kuta, Badung-Bali. 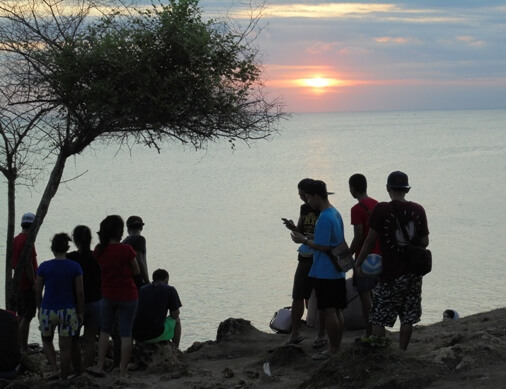 You can enjoy this sunset from the high cliff, from the beach located at the bottom of the cliff, and from the area of Pura Segara Tegalwangi. Visitors usually come down to the beach a few minutes before sunset, becomes crowded and somewhat claustrophobic. This happens due to the beach is not too wide though the sea water receded. 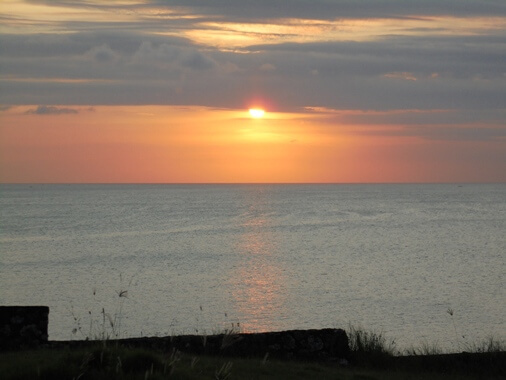 This scenic sunset also attracts several couples to do pre wedding photoshoot from both the cliff and the beach. The uniqueness spot is some natural rocks basins, shallow and filled with sea water, and create a natural pool. People often refer to it as a natural jacuzzi. This is a narrow beach but so beautiful that visitors have to compete with the couple and the photographer crew. And more worse, even though every visitor has the same privilege to enjoy this beach, photographer crews are often shouted at visitors and unprofessional. Often seen visitors are disappointed and feel annoyed with this. So be a little patient or just walk away from them while finding your own spot. That way you can spend the afternoon while enjoying the sunset with more flexibility.